Volkswagen Group has written to a number of customers in a move to strengthen confidence in software fixes being deployed on diesel vehicles and to encourage more customers to have their vehicles updated. Following the carmaker’s use of so-called ‘defeat devices’ in the diesel emissions saga, around 1.2 million Volkswagen Group vehicles were recalled for a software fix, with more than half having had the recall work carried out to date. Recent reports have surfaced of thousands of Volkswagen Group car owners saying they’ve suffered post-fix problems with their vehicles including reduced fuel efficiency and reduced power and acceleration, including some vehicles said to have gone into ‘limp mode’, with a resultant sudden loss in power. Earlier this year, a test carried out by Autocar magazine on a 2003 Touran MPV using What Car?’s True MPG real-world economy test, both before and after the fix, was said to have seen a 6.1% drop in average economy from 50.72mpg to 47.61mpg, with a rise in CO2 emissions from 147.3g/km to 156.9g/km. 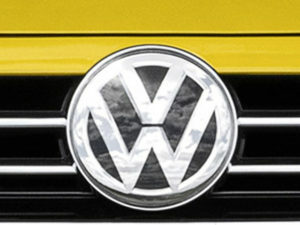 Now a VW Group spokesperson says the company has written to some customers, though not necessarily because they are reporting problems, but to inform them that the Volkswagen Group offers a Trust Building Measure, through which the group will consider any complaints that are established to have arisen as a result of the implementation of the technical measures. The measure applies for up to 24 months from the date of the fix and covers cars that have fewer than 160,000 miles on the clock. The spokesperson added: “It remains the Volkswagen Group’s position that the technical measures have no adverse impact on the performance of the vehicles or the durability of the engine and its components. The Trust Building Measure has no bearing on this position.